Most virtual assistants, including Apple's Siri, require users to activate the system with a wake word or phrase — "Hey Siri" for Apple, "OK Google" for Google Assistant and "Alexa" for Amazon. 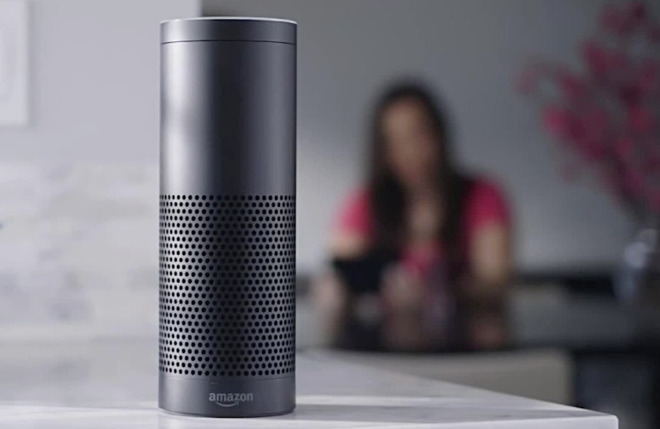 Starting today, Amazon is allowing users of its Echo devices and some third-party hardware to skip the cumbersome wake-up command with a new feature called "Follow-Up Mode." As detailed by CNET, the new capability keeps an Alexa-enabled speaker's microphones active for five seconds after responding to query or command. Users can proceed to ask a follow-up question within the allotted time period without repeating "Alexa." For example, a user might ask, "Alexa, turn off the living room light," then after the lights go out say, "turn on the bedroom light." Previously, those two commands would need to be preceded by the virtual assistant's name. If a user so chooses, they can terminate the conversation by saying a concluding phrase like "thank you" or "stop," Amazon said. If on an Echo device, the familiar blue ring will stay illuminated during Follow-Up Mode to denote the device is listening for further input. The company notes Alexa only acts on follow-up queries when it is "confident" that the request is legitimate. How effective and accurate the assistant is at parsing out user commands from background noise remains to be seen. There are a few restrictions to Amazon's new feature, most of which appear to be in place to address usability and privacy concerns. Alexa will not activate Follow-Up Mode when its host device is streaming music, playing an audiobook or making an Alexa call. The function is also limited to U.S. English, at least for now. Follow-Up Mode, if it works as advertised, solves a longstanding user experience foible that makes virtual assistant interaction somewhat awkward. While activating devices with a phrase — as opposed to a tap or touch — is convenient, repeating that same word or set of words over and over to accomplish multiple or complex tasks is cumbersome at best. Whether Apple is working on similar technology for Siri is unknown, but the feature would be a welcome addition to its HomeKit-connected HomePod speaker. For Amazon, Follow-Up Mode provides a welcome distraction from Alexa's recent woes. Earlier this month, users across the U.S. experienced an hours-long downtime due to apparent server difficulties. Days later, an unusual bug that prompted the virtual assistant to abruptly wake from sleep and start cackling. Amazon later said Alexa in rare cases would misinterpret ambient noise as the request, "Alexa, laugh." The company changed the appropriate command to "Alexa, can you laugh?" and updated Alexa's response to read, "Sure, I can laugh," which is then followed by a laugh.